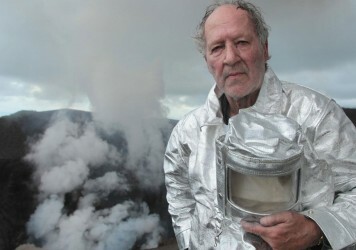 Werner Herzog is a filmmaker of many talents. Whether turning his hand to intrepid documentaries or spiralling epics, he has always seemed a filmmaker driven by a desire to push limits of cinema. And that has often meant pushing himself, his cast and his crew to the limit, too. For 1977’s La Soufrière Herzog ventured to a volcanic island that was on the verge of a major eruption. He released hordes of rats onto the German city of Delf when making Nosferatu the Vampyre two years later. While making Even Dwarfs Started Small he made a bargain with his crew, which he kept, that he would jump into a cactus following a string of dangerous onset incidents. Even in everyday life, strangeness seems to follow him. Famously he was once shot while recording an interview with the BBC in Los Angeles. He walked from Berlin to Paris to visit an ill friend. After losing a bet with Errol Morris in 1980, he ate his own shoe. He made a cameo appearance on Parks and Recreation and has lent his voice to The Simpsons and Penguins of Madagascar. But this is just the tip of the iceberg when it comes to the wonderfully strange world of Herzog. With all this in mind, Greg Evans and Sophie Monks Kaufman have each chosen a moment from his career which they feel most stand outs in this pantheon of weirdness. 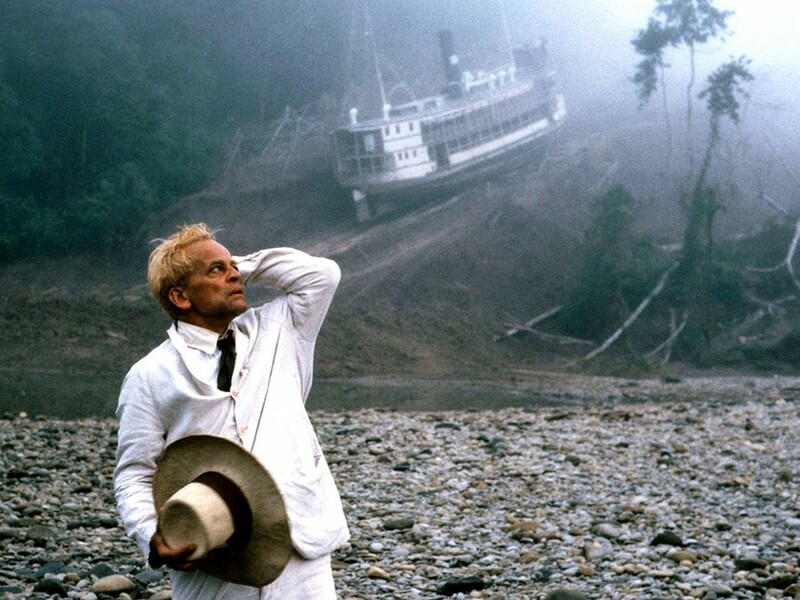 Even if you haven’t seen Fitzcarraldo, chances are you’re familiar with the tale of Werner Herzog and his crew pulling a 320-tonne steamboat over a Peruvian hill. It’s a story that has almost eclipsed the film itself. An anecdote so steeped in legend and notoriety that it barely seems feasible. To give this feat some context: Fitzcarraldo follows an eccentric Irish rubber trader hailing from the city of Iquitos at the basin of the Amazon River. He wishes to bring opera to the rainforest, but that will require considerable funds. Determined to realise his dream, Fitzcarraldo sets out on a mission to reach a patch of land rich in rubber, which he can use to finance his fantasy. The real-life Fitzcarraldo achieved his feat in the 1890s but his boat was disassembled and carried over land. 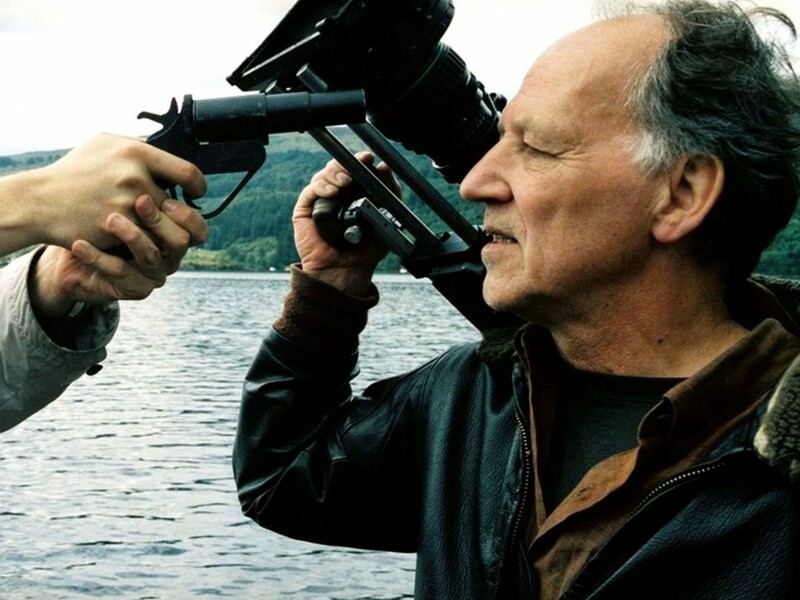 Herzog is a director who has stared down absurdity many times throughout his career, and to merely deconstruct a machine and carry it piece by piece was apparently far too easy. After finding the perfect stretch of land to pull off his crazed scheme, Herzog instructed his crew, largely made up of indigenous people who worked for timber companies and as farm hands, to build a primitive pulley system. This would slowly move the colossal cargo over a path excavated with dynamite and stripped of all vegetation. All told, it took them three months to pull the boat up the hill and a further seven months to wait for the river on the other side to fill up again. Prior to the boat moving, tensions were said to be high on set, as few believed that they could accomplish their goal. “It’s not a gimmick. 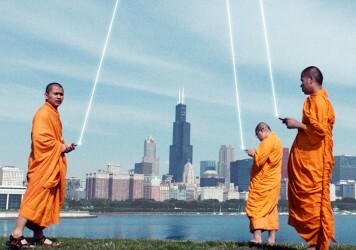 The story has to do with a collective trance, like sleepwalking into disaster,” said Werner Herzog, in reference to how he stylised the performances in 1976’s Heart of Glass. The nature of this stylisation says a lot about Herzog’s unconstrained creative thinking. He hypnotised the cast. He toyed with hypnotising viewers too, conceiving a prologue featuring himself on screen lulling us to sleep but dismissed the idea as irresponsible. 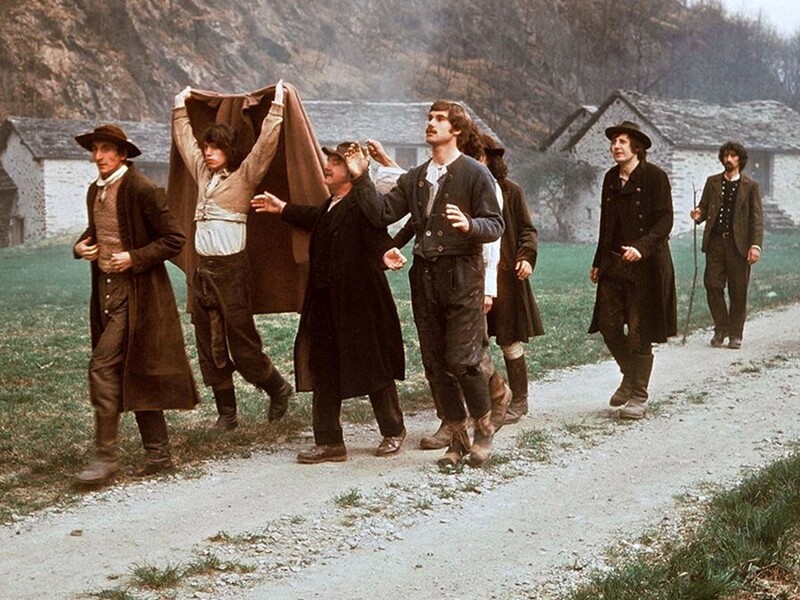 Instead he used the prologue to set the tone of the film through establishing shots of the shepherd prophet, Hias – known as “Nostradamus, Bavarian-style” – sitting in the mountains amid mystical landscape shots. Hias is played by Josef Bierbichler, a theatre actor who has since appeared in several Michael Haneke movies. He was among the few professionals in a production otherwise made up of non-actors recruited through newspaper advertisements. Furthermore, he was among the few cast members not to undergo hypnosis. His role as a wise outsider, capable of prophesying the future, required a different type of performance – piercingly insightful in direct contrast with the checked-out aura of those playing villagers in the setting of an 18th century Bavarian village. This Bavarian village was not far away in spirit or indeed physically (one site was only a mile away) from where the young Herzog spent his boyhood, growing up in a remote site of natural beauty without running water, central heating, television or a telephone. These are conditions that he fondly credits with the birth of his imagination. 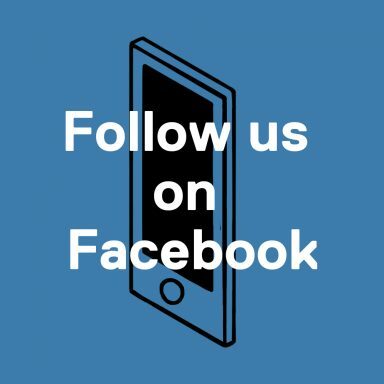 This story of a village slowly imploding following the death of the ruby glass blower is rooted in Bavarian folklore, the writing of Herbert Achternbusch and poetry composed by hypnotised cast members. (Sample line: “Why can’t we drink the moon?”) It is knitted together via Herzog’s ambition to render something strangely familiar from within. He wanted to conjure what he calls the “ecstatic landscape”. Hypnotism was the most striking tool deployed to achieve this end, but it was merely symptomatic of his questing spirit – a willingness to go almost anywhere and do anything to secure a specific visual. He trekked to 12 different outdoor locations across Germany, Ireland and the USA, including Niagara Falls, in order to make the landscapes surrounding the central village seem as mesmerisingly dramatic as possible.